The proven conveyor to transport fine grained and powdery products, and granular materials with a high percentage of dust. 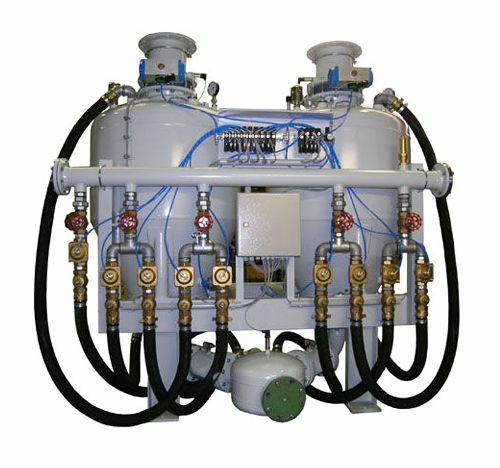 supply equipments for reaction vessels, pickling bathes, etc. The type S pressure vessel conveyor, operates on the 'plug-flow' principal. Compressed air transports the bulk material out of the pressure vessel, through a conveying tube, into a receiver. Along the length of the conveying tube, the pressure decreases, the air expands, thereby accelerating the material along the tube. The S type pressure vessel conveyor is especially suitable for the transportation of fine grained and powdery products, and of granular materials with a high percentage of dust. 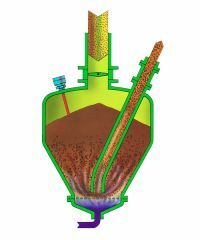 The type S plants are completely enclosed and offer high operational resistance to abrasion and wear. They are quiet in operation, compact in design, and require minimal maintenance. 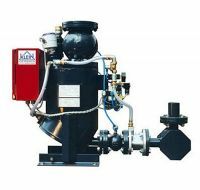 Several kinds of inlet valves are available, to suit a variety of bulk materials. Flow valves have a large cross-sectional area, to reduce filling time to a minimum. Complete electrical control with one panel, for ease of installation. The control valves are robust and almost insensitive to dirt. No moving parts come into contact with the material flow, consequently, wear is negligable and maintenance is reduced to a minimum. 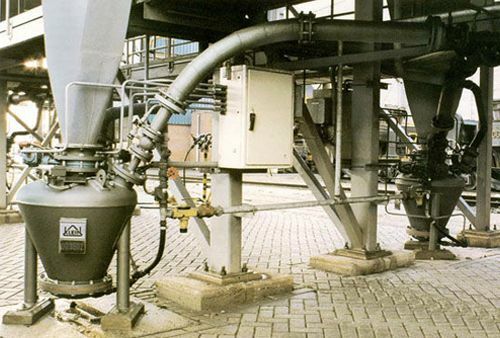 Tandem installations can be arranged to provide a continuous material flow, resulting in considerable energy saving over long conveying distances. The Type S conveyor is suitable for conveying bulk materials into pressurised containers and bulk liquid containers. Also available as metering vessel.